This bike route to the medieval town of Erice leads you via the SS187 and a long climb to the top of the Monte Erice. After the descent, the SS113 will lead you through the hilly, Sicilian landscape back to the town of Balestrate. Go from the Eni gas station in the direction of Balestrate (SP17). Turn left on the Via Pier Santi Mattarella. Go left at the roundabout and enter the SS187 in the direction of Trapani and Castellammare del Golfo. You can follow this road all the way to the town of Valderice, passing Alcamo Marina, Castellammare del Golfo and Balata di Baida. When in Valderice, turn right at the blue sign for Erice (Via Sabaudia). This is where the climb starts (500 meters ascent and grades between 6 and 12%). 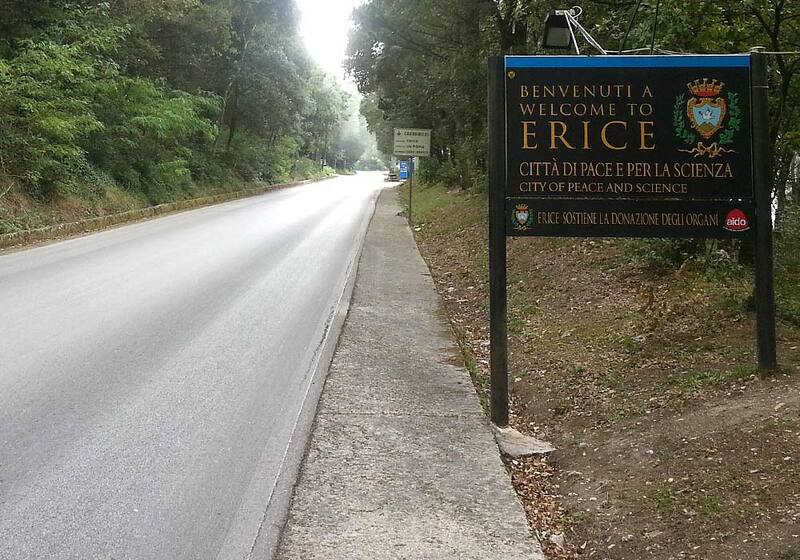 Follow this road until you reach the town of Erice. There are several roads leading back into the valley, but the one you’ve just climbed, is the one with the least traffic. So follow the same road back into the town of Valderice. When in Valderice, turn right on the SS187 in the direction of Trapani. After 4.5 kilometers, turn left in the direction of Trapani (blue sign). This is the Strada Provinciale Torrebianca. Turn left at the first crossroads in the direction of Palermo. This is the SS113. You can follow this road through the towns of Fulgatore, Segesta-Calatafimi and Alcamo (*) until you reach the exit for Balestrate. turn left here and follow this road, the SP17, until you see the Eni gas station on your right.